There is just something I love about reading about someones life. I especially love celebrity biographies. It is always fascinating to see how famous people grew up and ended up where they are. "You Have No Idea" is a celebrity autobiography with a twist. The former beauty queen/singer/actress Vanessa Williams writes about everything from being molested as a young girl, to the photos that lead to her stepping down as Miss America, how acting is her real passion and music was just a way to get her there, her marriages and her children. 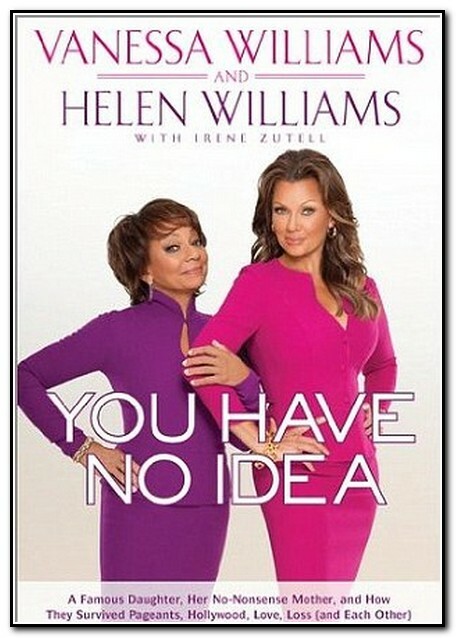 The twist comes with the short excerpts spread thorughtout the entire book written by Helen Williams, Vanessa's Mom. The book felt like reading someone's journal and the excerpts felt like her Mom had found the journal and was sharing with us her thoughts on what she found. I loved that. Both Helen and Vanessa were open and honest and that always makes for a great read. Head over to Blogher to join in all in the fun and discussions. This book is sure to create some great conversations. Hey Elissa, It is good to meet a fellow BlogHer reviewer. Loved your review, too. I'll have to give this a good read! I've been thinking about trying to organize an online yahoo group book club. Maybe this will be a good first read. Let me know if you do! I am always up for a book club. I have a very loosely structured book club group on facebook. we mostly just talk about the books we are reading. Good review! I loved getting her mom's insight, too. Makes me wonder what my mom would say about my life - lol.